KPIs, as their name suggests, help you track what is most important. They can exist at different levels. For a manufacturing company CEO, KPIs of most interest might be top-level profitability, percentage of on-time product delivery and overall asset utilization. Each KPI for manufacturing may then relate to other KPIs at the next level down. For example, an overall asset utilization KPI might be spflit into similar KPIs per plant or per production line. The on-time delivery KPI might be driven by lower-level KPIs for supplier performance, production line uptime, inventory levels and shipping time. In this way, KPIs can be defined and linked at each level of manufacturing enterprise, down to individual team, process and product level if needed. Collecting, processing and displaying the data for KPIs soon points to a need for IT. The days of walking around production facilities with a clipboard, paper chart and pencil are fading rapidly. Manual methods are not fast enough or sufficiently reactive. In today’s business environments where customers want their products yesterday and the competition changes daily, manufacturers need to know where they stand in real time with a manufacturing KPI dashboard. But before talking tech, let’s talk business. What kinds of manufacturing KPI might best benefit your company? The following examples may help get you thinking. There are two crucial variables for manufacturing. One is overall profitability, and the other is customer satisfaction. Online customer satisfaction surveys, levels of repeat orders and numbers of complaints are data that can be used to build an overall customer satisfaction KPI. Tying up resources in production lines can become wasteful. Without skimping on quality, you want short production cycles and (reasonably) low inventory and work in progress. Time from order to shipment is money your manufacturing enterprise is spending rather than making. It pays to watch this KPI. Customers may like low prices, but they typically detest poor quality. The display of this KPI should not only show you quality at the different stages of the product process, but also any trends you should correct before they become disasters. Applied to individual assets, MTBF shows you if the asset is reliable, how often you should do preventive maintenance (preferably outside peak manufacturing hours) and if it might be time to replace the asset with a new one. Your manufacturing company paid for it; shouldn’t it be used to full capacity? Assets that show less-than-desirable rates of utilization may be repurposed or sold off, rather than blocking capital that could be better used elsewhere. As well as quality and cost, delivery performance is another key measure of supplier performance. Do deliveries arrive on time? Are they delivered to the right location? Are they in good condition? Is your manufacturing company invoiced correctly? All these things can impact your productivity and profitability. How much should you be manufacturing for this week? For this month? Variations in demand need to be managed in advance. This ensures the right amounts of raw materials or components are ordered at the right time, the production workforce is at the right level and so on. Cost to serve is about what it costs you to serve a given customer when you account for specific order size, inventory and shipping costs. This KPI could show you the accounts with which you make the most profit (keep these!) and the ones with which you make the least – or even lose money (make a change!). 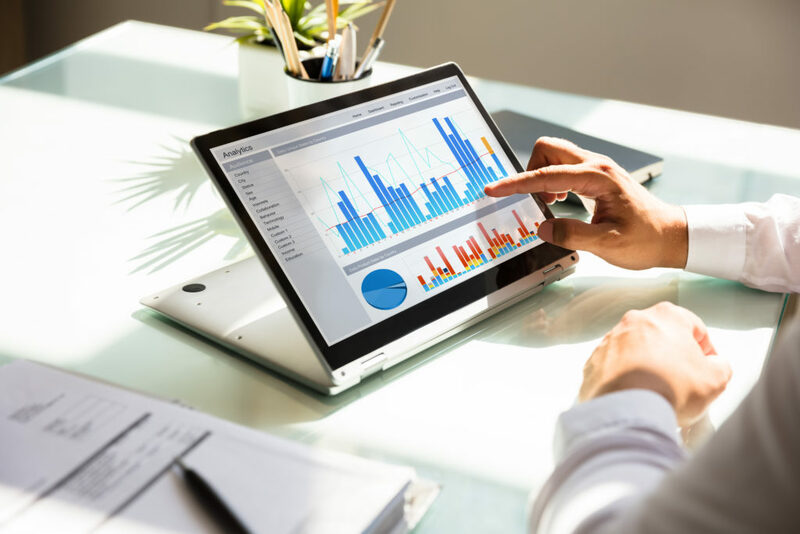 Once you have an idea of the KPIs that make sense for your enterprise, you can turn your attention to the best ways of collecting the data, building the KPIs and displaying them. Data may be available from many sources. Accounting systems record financial transactions and track revenues, profits and costs. ERP systems hold product references, price, inventory, customer and logistics information. CRM systems provide sales forecast information. Factory machines and systems may generate data on operation speed, temperature, humidity and vibration. In an increasingly connected industrial world, machine data is probably being stored in a database somewhere. You just need to locate it. External sources of data can include industry and government databases with economic information, benchmarking data and historical and trend data for specific manufacturing sectors. Social media networks are a growing source of data too. They can help you better understand customer demand, for example. However, the unstructured data they provide may require additional tools to organize it into a form that is easier to use. So far, so good. But manufacturing today is also about flexibility and adapting fast to new market demands and business needs. From an IT departmental point of view, the business intelligence software you use should allow you to make such changes easily and rapidly. Even so, the IT team may find that once its manufacturing colleagues get a taste for BI, requests for new KPIs and dashboards come in thick and fast. It may be time to take a hint from business processing engineering – the one that says decision-making should be located as close as possible to the operations it affects. In other words, building KPIs relevant to manufacturing and tweaking dashboards to better serve production, logistics, sales and operations, and so on is better done directly by the teams concerned. Self-service BI makes this happen. While BI often started life as complex applications tightly linked to large corporate databases, solutions now exist that can be used by anyone, technical or non-technical. Bright ideas sparked next to a paint shop and burning questions that arise in inventory management can be worked on immediately by the people who have the biggest stake in them, instead of running back to the IT department each time. That doesn’t mean that the IT department disappears from the BI scene. However, its role changes and probably for the better. It becomes a consultant and a strategist, looking for solutions that add the most business value and empower manufacturing teams to see better and go further. It will also be there for the more complicated issues like accessing data on legacy systems or finding ways to make machine sensor data available. For daily usage, however, BI power is in the hands of end-users, and that’s a good thing. In summary, KPIs first need to be chosen to match manufacturing needs. They say in manufacturing things are rarely scrapped. But if a KPI does not correspond to what you need to know, it may simply have to go. Next, suitable technology must be used to collect and handle data to drive the KPIs and the KPIs themselves must be easy to comprehend. Business intelligence software can give you the capabilities to let you achieve this. Finally, by choosing self-service BI software, you can help manufacturing teams help themselves, leading to faster adaptation, better productivity and higher profitability. What manufacturing KPIs do you use? How do you use BI software to improve your processes? Let us know in the comments!